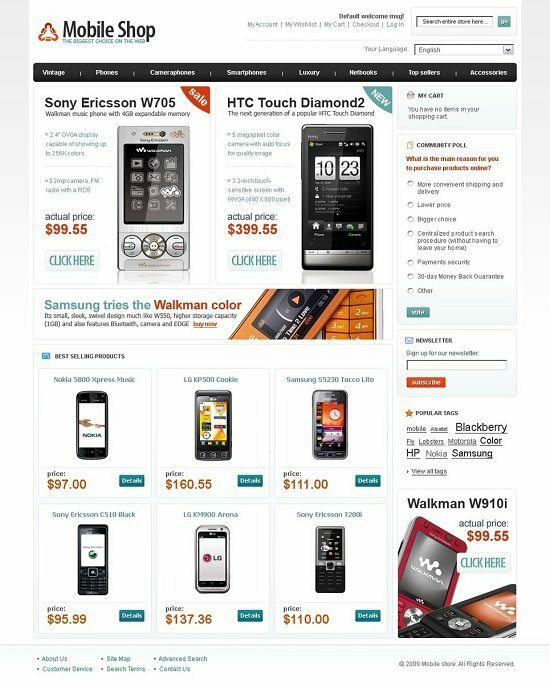 Looking for Responsive Phone Shop Magento Themes? 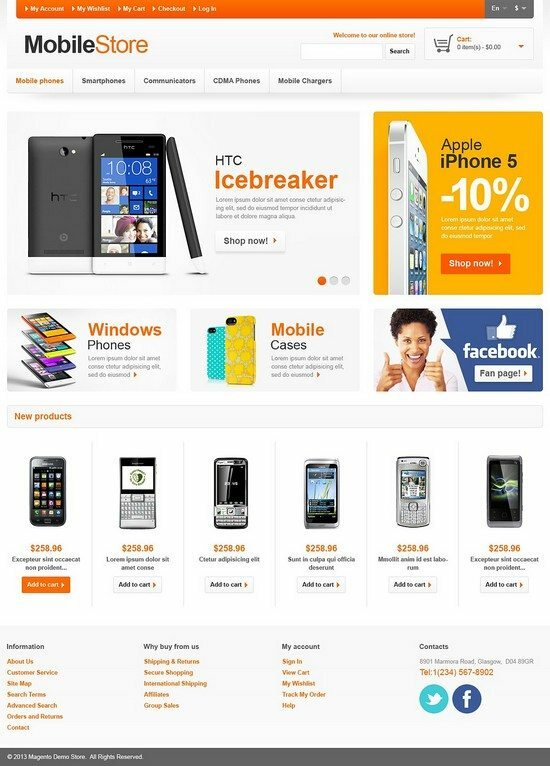 You are on right place, here we have collected some best Responsive Phone Shop Magento Themes for who want to open Mobile phone store online. Can you imagine your life without a mobile phone? No, you can’t and so do your customers. Some people need a moby just for communication, others to confirm their high social status. All of us have different reasons to change the outdated models for new, functional, and stylish ones. It’s clear that a mobile phone store should be ultra modern, otherwise the visitors will think that you sell stationary dial phones that only old grannies use today. 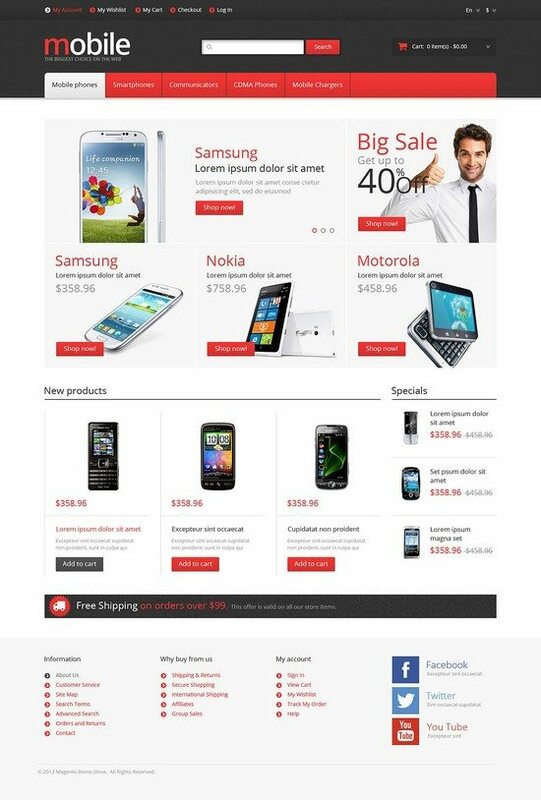 This collection of best Responsive Phone Shop Magento Themes are perfect to impress your buyers. It has the feature like flat and minimalistic, with great photos and slightly subdued color scheme. All these features match the latest web design trends, so your website will always stay current. 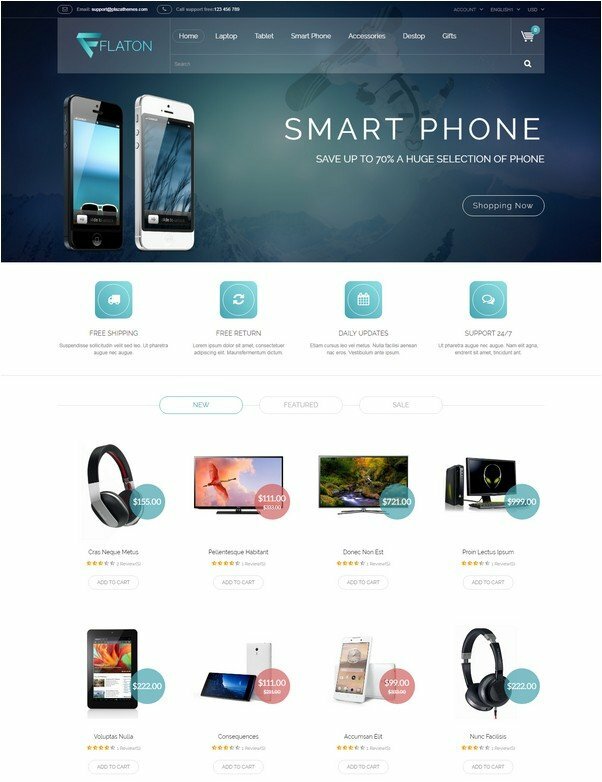 Young and modern is what you will think about our new Digital Responsive Magento Theme – Flaton Magento Theme, specializing for digital/mobiles/laptop/accessories shop. With white background combining with blue or green or pink bring you fresh and new feelings and experiences. 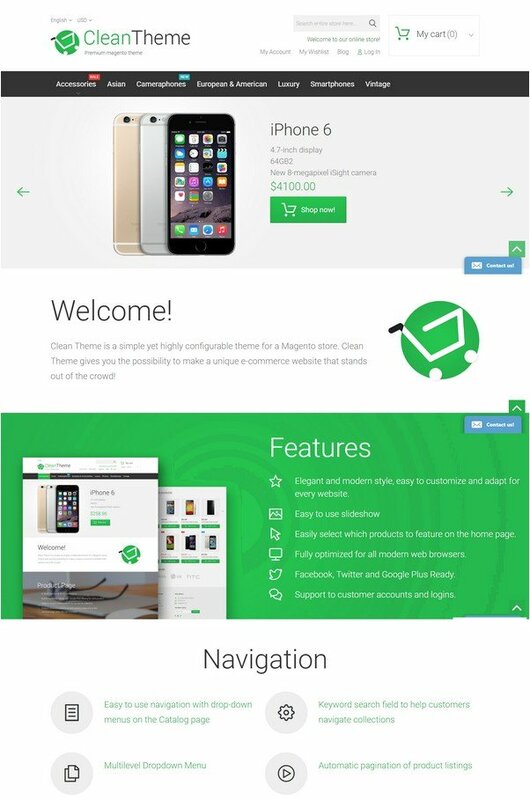 Mobile Phones Magento Theme was designed for e-Commerce needs satisfaction. 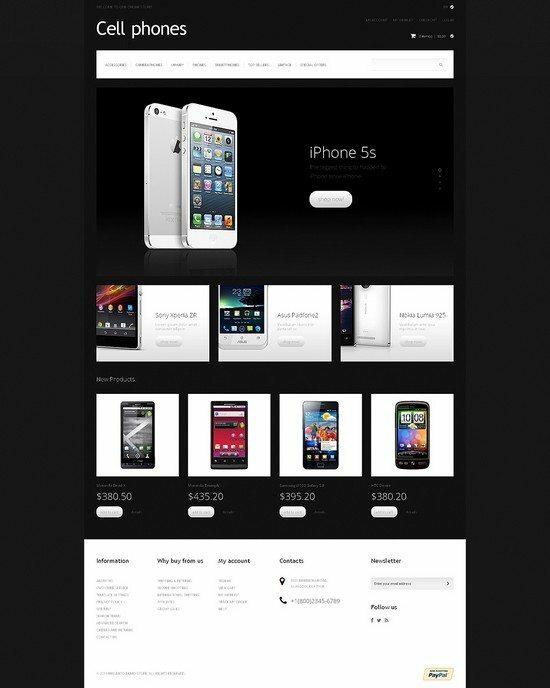 There will be no need in developing a separate mobile version of your site since the template was made 100 responsive. MegaMenu, live search and shopping cart are available from any page. 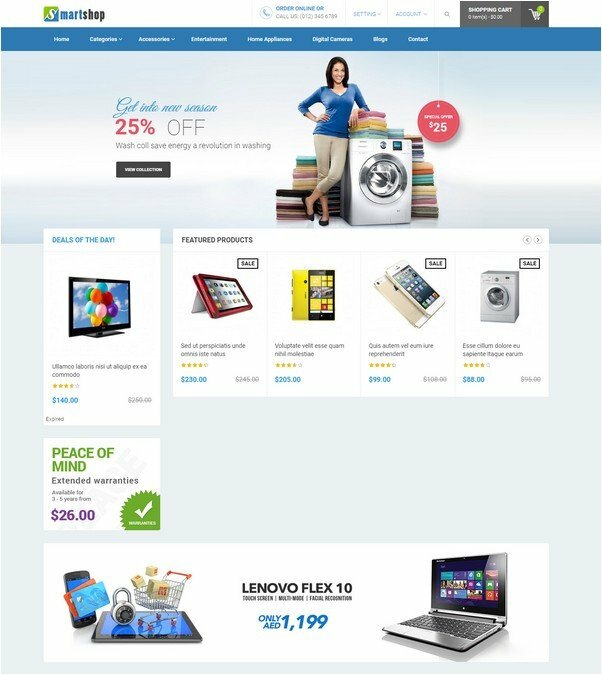 For better online shopping experience, the theme features touch-friendly images, Ajax Shopping Cart, Details, Reviews, Related, and Compare tabs. Your products will look even more impressive thanks to Cloud Zoom feature. 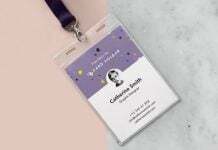 Accordion/Carousel sliders, video support, categories accordion, and valid code will help you create a powerful e-Commerce site. This template is perfect to impress your buyers. It’s absolutely flat and minimalistic, with great photos and slightly subdued color scheme. All these features match the latest web design trends, so your website will always stay current. Black and white color combination is one of the most powerful ones. 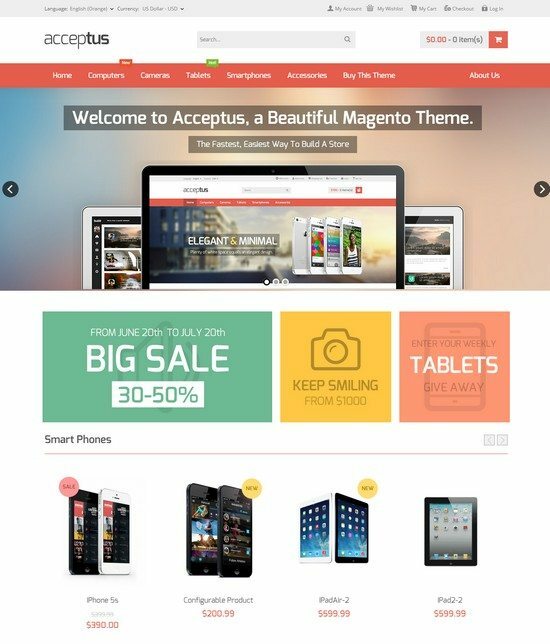 If you are a daring merchant offering your customers only the best and the latest products, this theme was created for you. The whole design concept is built on the opposites sharp edges and rounded buttons, minimalistic fonts, icons and large photos. A huge slider provides impressive product presentation. Main menu, brands in the left sidebar, and contentrich footer contain all necessary links the users might want to visit. 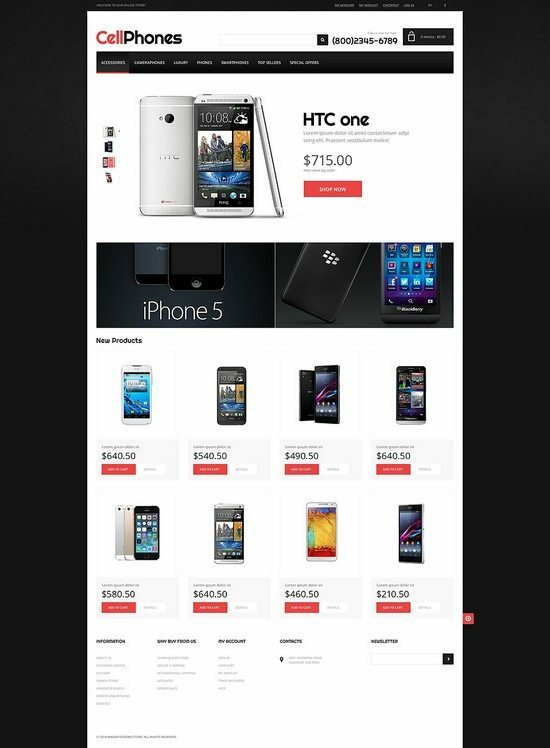 Choose this site design for your cell phone store and be different. 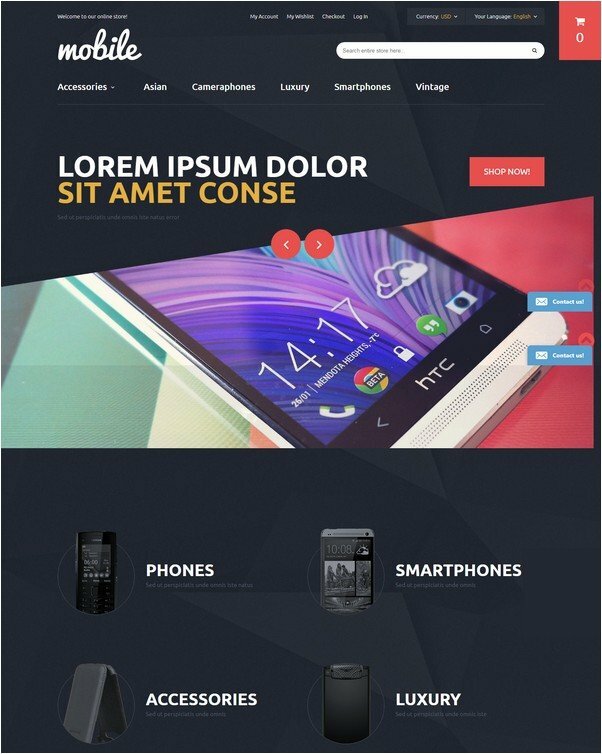 Contemporary look is beneficial for online stores selling modern devices. 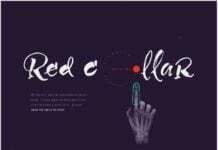 Red main menu bar and call-to-action buttons draw maximum users’ attention. Four banners are arranged around the slider and have zooming effect. Special products are in the right sidebar. New products in the content area come with descriptions. Footer contains subsidiary menu and large social sharing block. 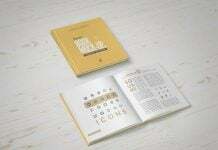 If you are in the course of all latest web design trends, this design will raise your interest. 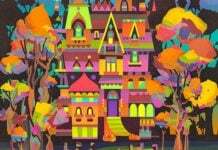 Its flat colored layout is really trendy and attractive. 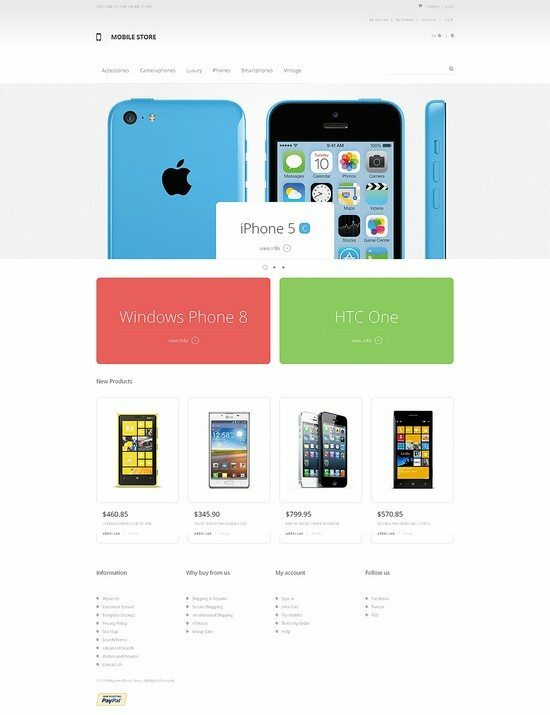 Large part of the page is occupied by rainbow banners promoting the latest phone models. Brief information about the store is right below them. Functional icon based buttons, provided for new products are supplied with tool tips for better comprehension. As nowadays selling is conducted over electronic systems, with our latest template which beautifully displays to all mobile devices, you will be able to process transactions from users of PCs, tablets and handheld devices! 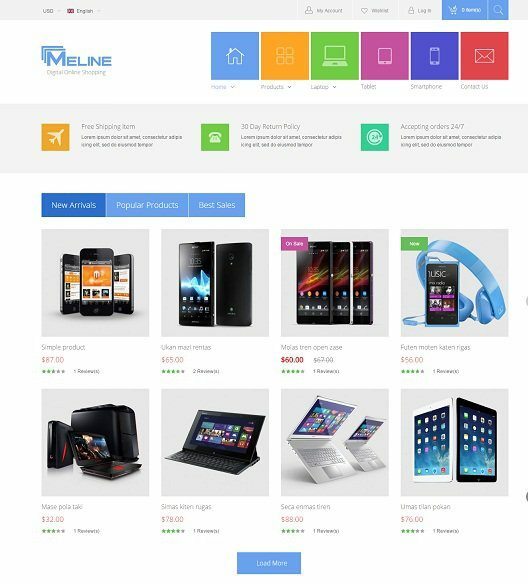 Meline – The Magento Theme was built according to the idea of a big e-commerce website with multiple categories. It has a Metro design with collection of Metro icons, harmonious color scheme with combination of dual color, theme will be a great choice for your magnificent products..
Sell your mobile phones online as it’s extremely profitable now-a-days. Orange colors present in the layout stimulate buyer’s activity. Slider demonstrates the latest telephone models. Products are presented in six column structure. Banners zoom in on hovering. Large social media icons are in the right bottom corner of the page. Footer widgets facilitate main drop down menu. 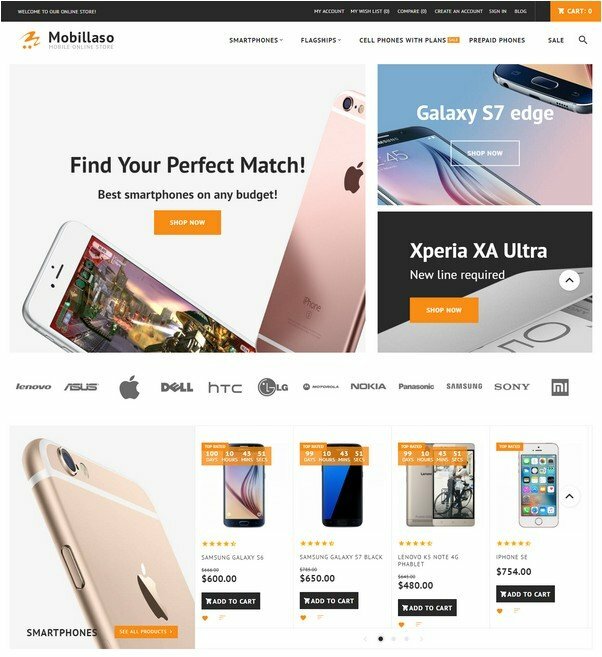 MT Yoming from YesTheme is one of the leading online mobile phone shopping site that helps you to compare and choose the most gorgeous ones for you and your family. MT Yoming prominently displays the latest technology products which belong to its various collections from world’s top brands like Nokia, Motorola, etc. 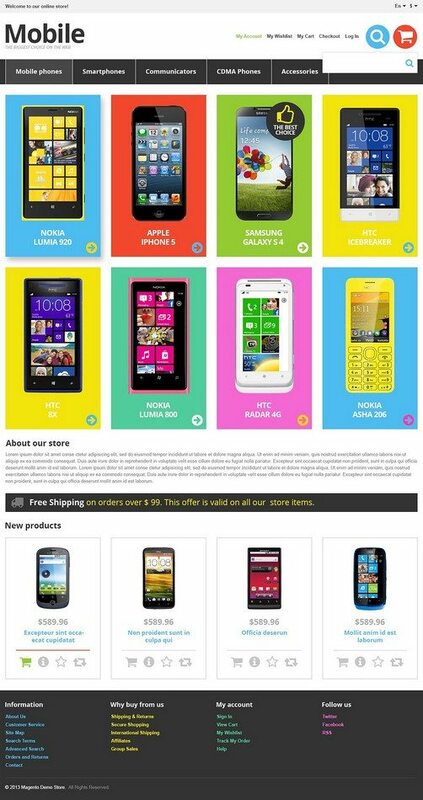 Before purchasing any product, please click on the product description below which provide you a better view about the different cell phones available, then pick the one that perfectly suits your personality.